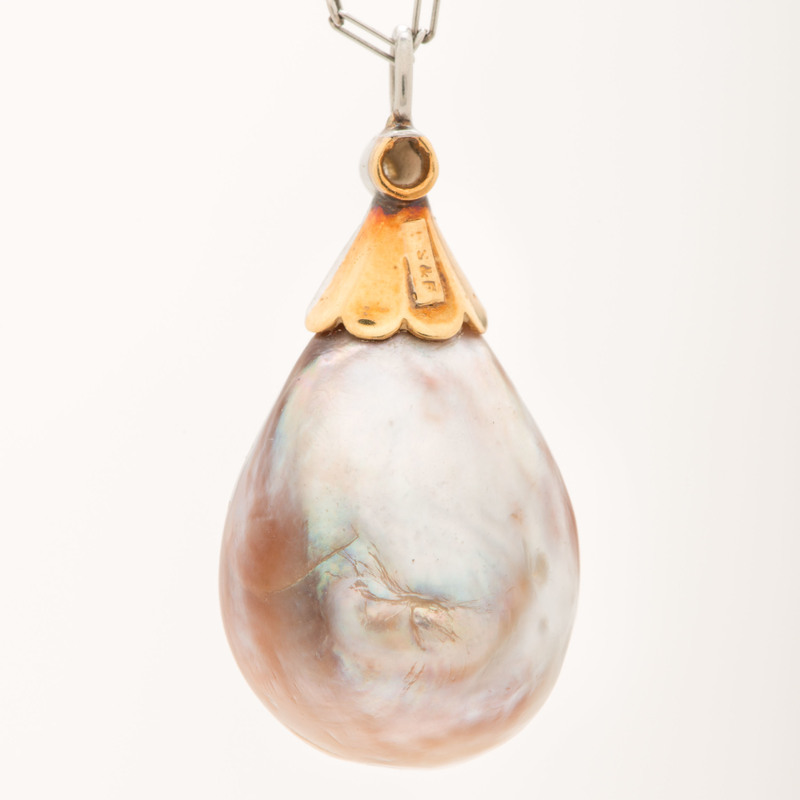 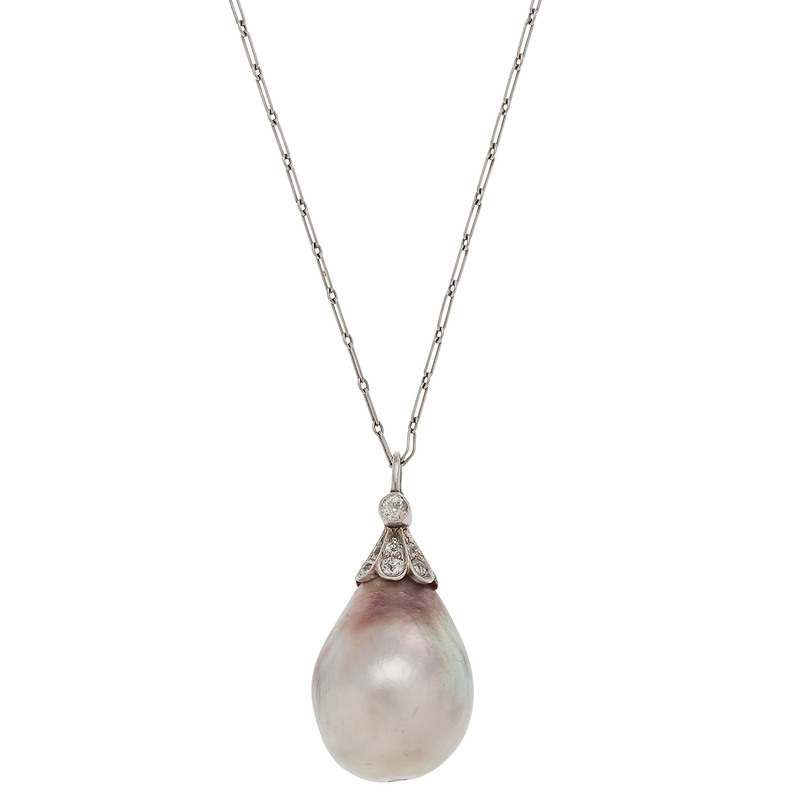 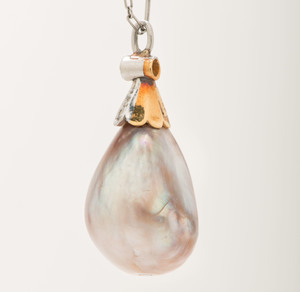 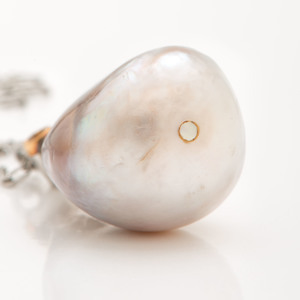 The necklace is comprised of a platinum and 18k yellow gold pendant set with a baroque pearl measuring approximately 19mm x 15mm and 7 Old European cut diamonds weighing approximately 0.12 carat total. 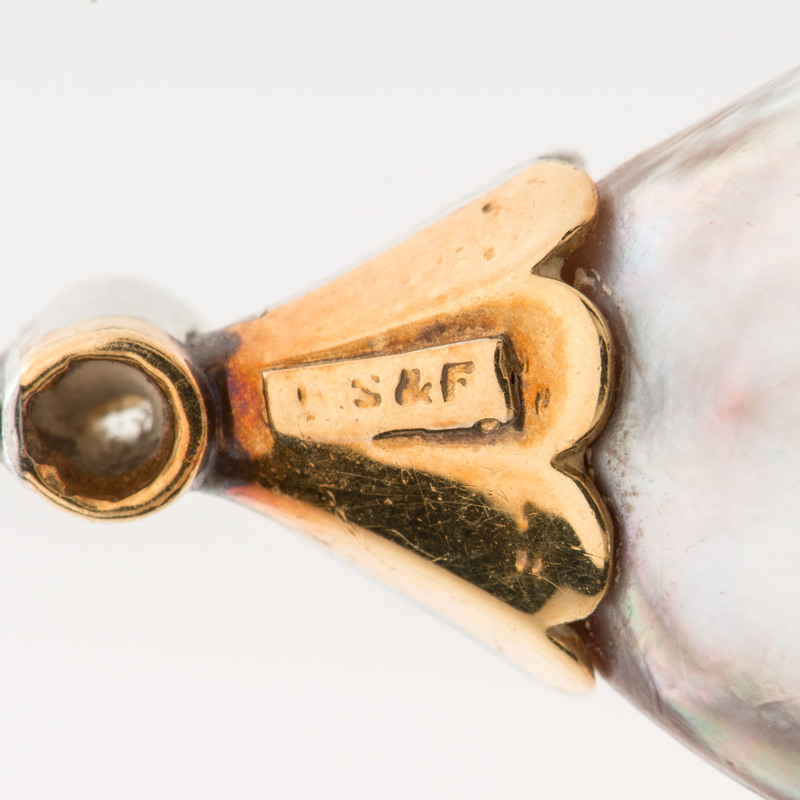 Hallmarked BS&F, measures 1.25" long including bale. 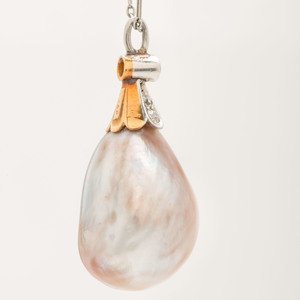 Pendant is suspended from an 18k white gold oval link chain measuring approximately 18" long. Also included are matching earrings in platinum and 18k gold. 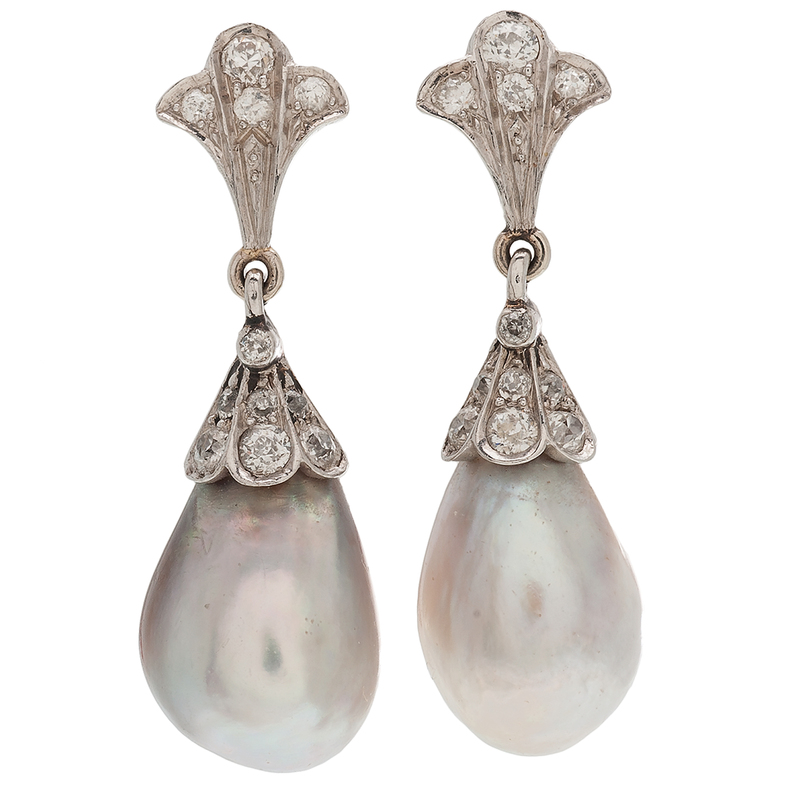 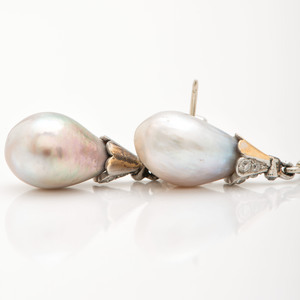 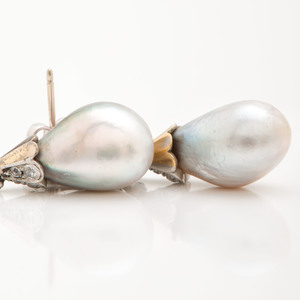 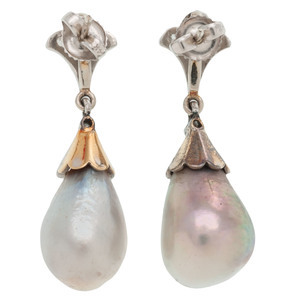 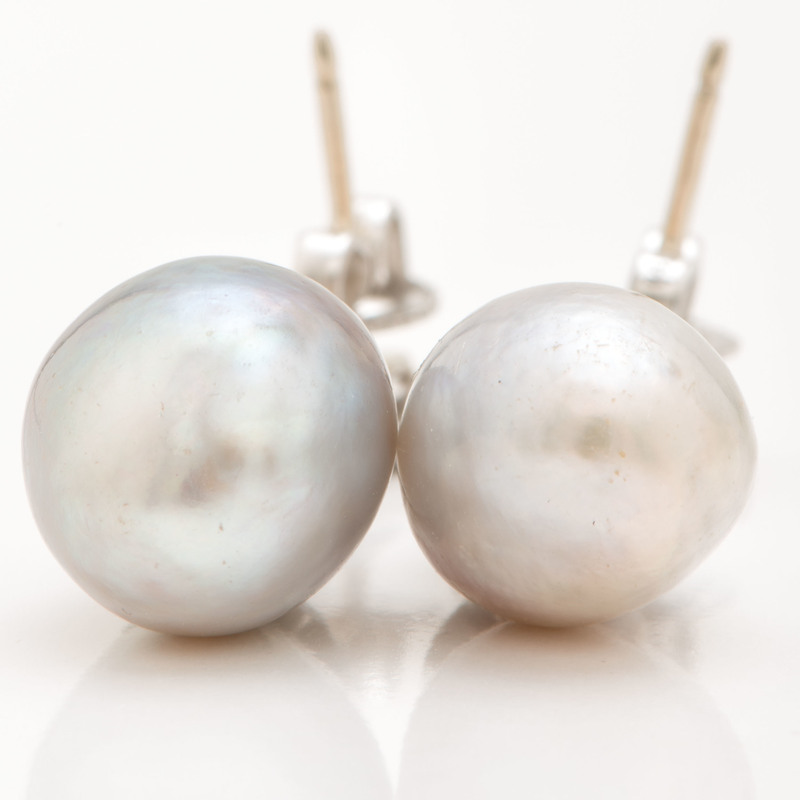 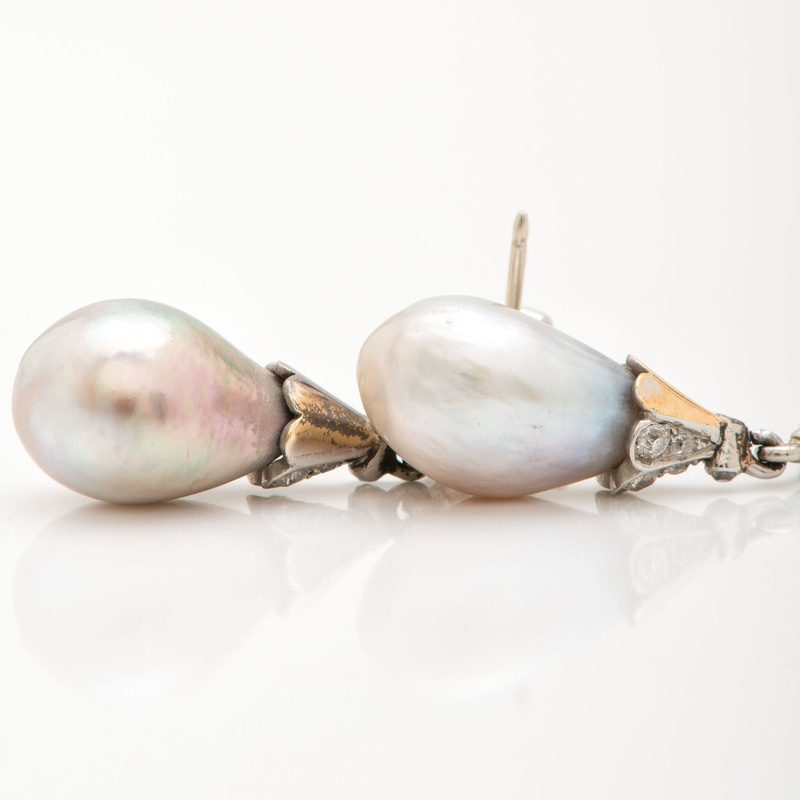 Each set with 11 Old European cut diamonds weighing approximately 0.40 carats total weight and one baroque pearl averaging 14mm x 11mm. Earrings are unsigned.